Rare find! Updated triple lot compound on the beachside with full in-law apartment and workshop under air. Live within walking distance of the beach and granada blvd. 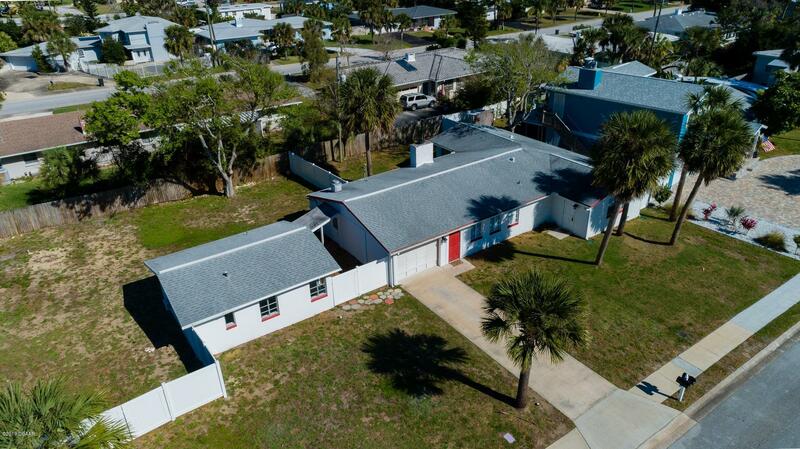 This concrete block home has 2 legal mailing addresses, 2 electric meters, and a completely self-contained mother-in-law apartment with kitchenette, full bath, laundry, and separate entrance. The home and apartment have new tile flooring throughout, new kitchen cabinets and counters, new ductless a/c units throughout, updated electric, new plumbing, new vinyl fence, new gutters, new insulation, new garage door, and much more. The main home has a wood-burning fireplace, tons of natural light, master bedroom with 1/2 bath ensuite, and a 1-car garage. Read more. For more information or make an appointment to see property ID 1054336.